Gluten Attack - Is Gluten Waging War On Our Health? 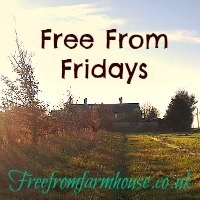 A Book Review & Giveaway | The Free From Fairy. 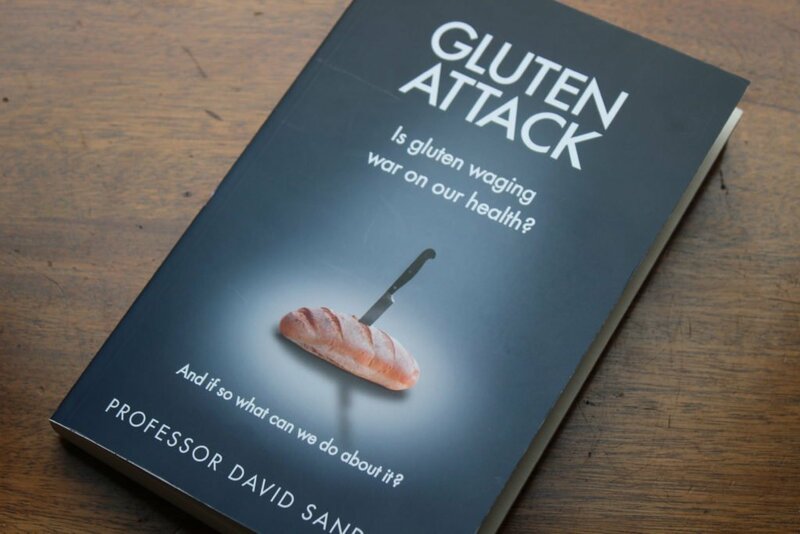 Over the past few weeks I have read many reviews of this new book by Professor Sanders, a British gastroenterologist at the Royal Hallamshire Hospital in Sheffield whose specialism is in gluten-related problems. I’m sure you’ve seen them too so you’ll be glad to hear that I don’t intend on repeating what has been said (if you haven’t read any of them then you can see a couple here and here). Instead I thought I would tell you a little about what the book covers but then go on to tell you why it has fascinated me so much, and why, if you are visiting my website, you probably want to read it too! I have read quite a few books about gluten (as you might imagine), trying to search for the answers to my medical symptoms. Books like Grain Brain, Wheat Belly and Brain Maker make interesting reads but in my opinion are rather ‘sensationalist’. On the other hand, Gluten Attack presents an enormous amount of research that Sanders and colleagues have carried out, in a very measured and interesting way. As you may know I have IBS that is triggered by certain foods and I have a daughter with coeliac disease. I have always wondered whether gluten sensitivity is part of a spectrum…with coeliac disease being at one end of the scale, and slight intolerance at the other. It has always made sense in my head that if both Mr M and I are intolerant to gluten it is perfectly feasible for Roo to have gained the full-blown version of ‘intolerance’ that is coeliac disease. In the book, Professor Sanders explains his view after extensive literature research and his own studies. His view is that there is indeed a spectrum of gluten sensitivity with coeliac at one end of the spectrum and people with non-coeliac gluten sensitivity and IBS at the other end. The way the body reacts to gluten is what defines the level of sensitivity. You may already know that people with coeliac disease have a specific immune mediated response (part of the adaptive immune system) to gluten and virtually all coeliacs have a specific HLA DQ2 or DQ8 gene code. Although only 1% of the population has coeliac disease, 25-40% of the population have this gene code and Sanders and his colleagues across the world have reported a high incidence of those genes in people self-reporting symptoms relating to gluten. His suggestion is therefore that there is such a condition as ‘coeliac-lite’, people who do not have coeliac disease but do respond to gluten. He goes on to explain how a person who is ‘coeliac lite’ or has non-coeliac gluten sensitivity may react to gluten. This is the part that fascinated me the most. Using a special endoscope with incredibly high magnification, researchers looked at the small intestines of 36 individuals with IBS and suspected food intolerance and watched what happened when they administered dilute food antigens onto the surface of the small bowel. Incredibly they saw a significant increase in the number of attack cells (intraepithelial lymphocytes) leading to inflammation and the development of gaps between the villi which in turn lead to leaks within the bowel (so leaky gut has been shown to exist!!). This happened in 61% of the cases with the commonest reactions in response to wheat, cow’s milk, yeast and soya. Obviously the sample size was very small in this study, but it shows that we are not faking it when we say that gluten and other foods (in my case cow’s milk and previous to taking Symprove, yeast (I don’t eat soya)) cause our body’s to react in a negative way. Which leads me on to something else. The ‘sniffiness’ that I have experienced from some people with coeliac disease regarding those of us who say we are intolerant to gluten and therefore eat a gluten-free diet. I have read countless posts on Facebook and on blogs from people who dislike the fact that the gluten-free diet has become so popular. I understand some of the animosity because for coeliac’s even a tiny trace of gluten will likely make them ill, whereas I am lucky enough to tolerate a ‘may contain’ label and can eat chips that have been fried with things that contain gluten; I understand that there may be restaurants who put gluten-free items on the menu because they know it is popular, but don’t really understand about catering for people with coeliac disease. 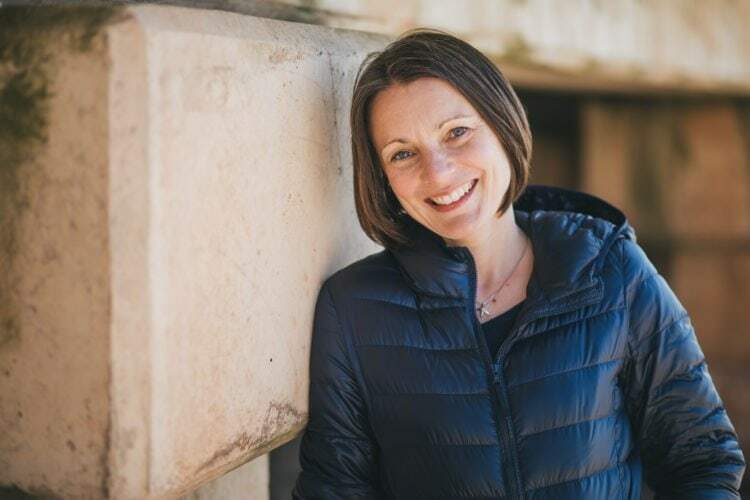 However, the pain and discomfort for those of us who suffer with gluten-intolerance, ‘coeliac-lite’, non-coeliac gluten sensitivity…whatever you want to call it…is very real and disabling. OK, eating gluten for us will not lead to other health problems in the future, but ultimately none of our bodies like gluten and that should just be accepted (and with understanding growing in the medical community, lets hope we get taken a little more seriously by the medical profession and general public alike). Anyway, back to the book. The one point that Professor Sander’s makes clear all the way through is that you should absolutely not put yourself on a gluten-free diet (if you experience symptoms from eating gluten…if you just want to eat a gluten-free diet then go ahead, but I wouldn’t bother if I were you!) without first approaching your GP and requesting a test for coeliac disease. This is imperative because it means that a proper diagnosis can be carried out. With only 1 in 5 people in the UK having been diagnosed with coeliac disease there are likely to be between 400,000-500,000 people in the UK alone who have the condition. All of those people could well be on a self-imposed gluten-free diet, but without proper dietary advice they may also be lacking in essential nutrients. The other thing he promotes is that if you are not happy with the first opinion on your health, seek a second opinion. This is incredibly valuable advice since many of us (me included) get told we have IBS, dismissed and then go off to deal with it alone. A long list of very real and disabling symptoms. If you are interested in potentially getting a free copy of the book then please fill out your details in the box below. The more parts you fill out the more chances you have of winning. However, if you want to read the book right now then you can buy a copy here (and if you do so from this link then it will cost you the same but I will get a little commission to keep my site going – so thank you). As always, please only enter if you are in the UK, a human being and over 18 years old. The winner will be randomly picked by a computer programme and informed by email. They will need to supply their postal address within 7 days or a new winner will be picked. I was given a copy of this book for the purposes of writing this post. All opinions are my own.